First published in 1929, Faulkner created his "heart's darling," the beautiful and tragic Caddy Compson, whose story Faulkner told through separate monologues by her three brothers--the idiot Benjy, the neurotic suicidal Quentin and the monstrous Jason. 1931, which he assisted in filming. Faulkner 's novels are intense in their character portrayals of disintegrating Southern aristocrats, poor whites, and African Americans. A complex stream-of-consciousness rhetoric often involves Faulkner in lengthy sentences of anguished power. Most of his tales are set in the mythical Yoknapatawpha County, Mississippi, and are characterized by the use of many recurring characters from families of different social levels spanning more than a century. His best subjects are the old, dying South and the newer materialistic South. As I Lay Dying (1930), is a grotesquely tragicomic story about a family of poor southern whites. With Absalom, Absalom! 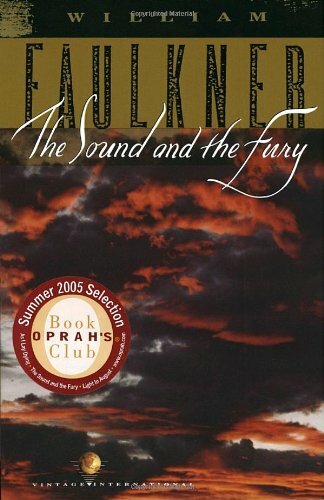 (1936); the difficult parts of his famous short novel "The Bear" (published in Go Down, Moses, 1942); and the allegorical A Fable (1954), a non-Yoknapatawpha novel set in France during World War I; Faulkner returned to an innovative and difficult style that most readers have trouble with. Yet, interspersed among such works are collections of easily read stories originally published in popular magazines. There seems to be a growing sentiment among critics that the Snopes trilogy-The Hamlet (1940), The Town (1957), and The Mansion (1959)-for the most part an example of Faulkner's "moderate" style, could well be among his most important works. Faulkner was awarded the 1949 Nobel Prize for literature "for his powerful and artistically independent contribution to the new American novel," but it would appear now that he also deserved to win that honor for his contribution to world literature. When reporting his death, the Boston Globe quoted Faulkner's having once told an interviewer: "Since man is mortal, the only immortality for him is to leave something behind him that is immortal since it will always move. That is the artist's way of scribbling "Kilroy was here" on the wall of the final and irrevocable oblivion through which he must some day pass." In addition to the Nobel Prize, Faulkner received the Howells Medal of the American Academy of Arts and Letters in 1950, and in 1951 he was given the National Book Award for his Collected Stories Collected Stories. For his novel A Fable he received the National Book Award for the second time, as well as the Pulitzer Prize in 1955. The Reivers (1962) was awarded the Pulitzer Prize in 1963. In 1957 and 1958, he was the University of Virginia's first writer-in-residence, and in January 1959 he accepted an appointment as consultant on contemporary literature to the Alderman Library of that university. Although Faulkner was not without honors in his lifetime and has received world recognition since then, it is surprising to learn that, when Malcolm Cowley edited The Portable Faulkner in 1946, he found that almost all of Faulkner's books were out of print. By arranging selections from the works to form a continuous chronicle, Cowley deserves much of the credit for making readers aware of the way in which Faulkner was creating a fictive world on a scale grander than that of any novelist since Balzac. William Faulkner died in Oxford, Mississippi, in 1962.